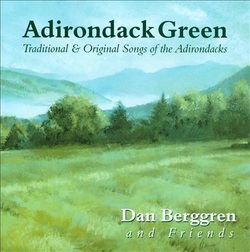 Released: 1985 (vinyl & cassette), 2001 (remastered CD) --17 traditional & original Adirondack songs, plus archival recordings of fiddler Cecil Butler -- from Dan Berggren and Friends. Recorded by Tony Distefano with assistance from Kathy Good, Brian Doser and Manny LaCarrubba. View the video of the song "Orion"